1. Grate your potatoes in your smallest hole in your grater. You can peel yours first but I never bother (though I do use thin skinned potatoes). 2. Grate your onions on the larger hole in your grater. 3. 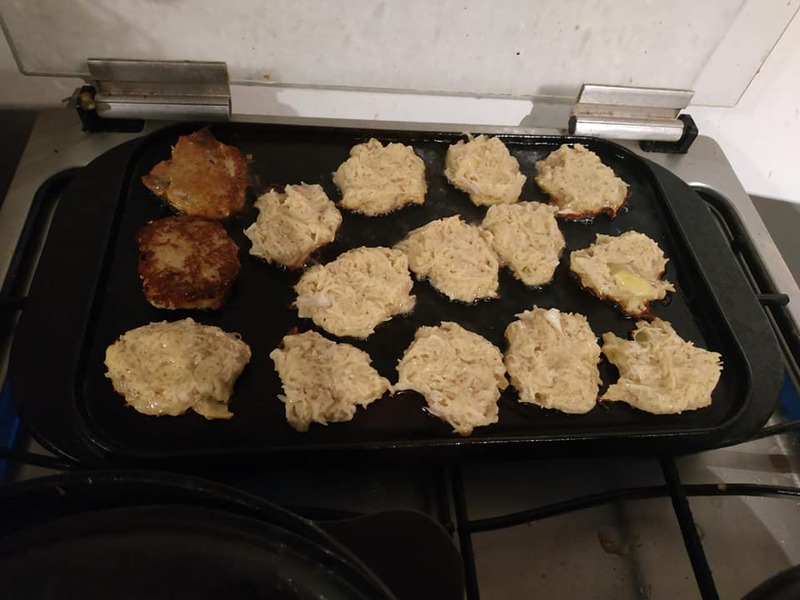 Mix your potatoes, onions, flour, flax seeds, salt, and pepper until uniform. 4. Heat up your oil in your frying pan or griddle, making sure that there is at least a small layer throughout the pan or griddle so the potato pancakes will get fully golden, then spoon the batter into the oil, one tablespoon at a time. Flatten then somewhat. 5. 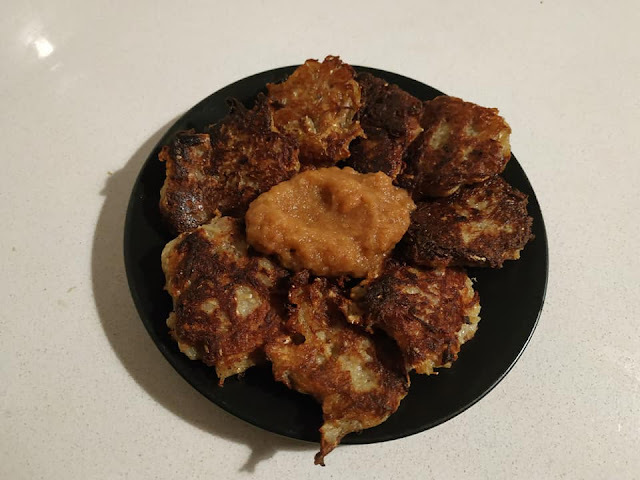 Fry your potato pancakes until starting to brown (you should be able to see this already around the edges), flip over, and cook on the other side. 6. Remove from the pan, and drain on a napkin to absorb excess oil, then cook the rest of the batch. 7. Serve hot, with toppings of your choice. 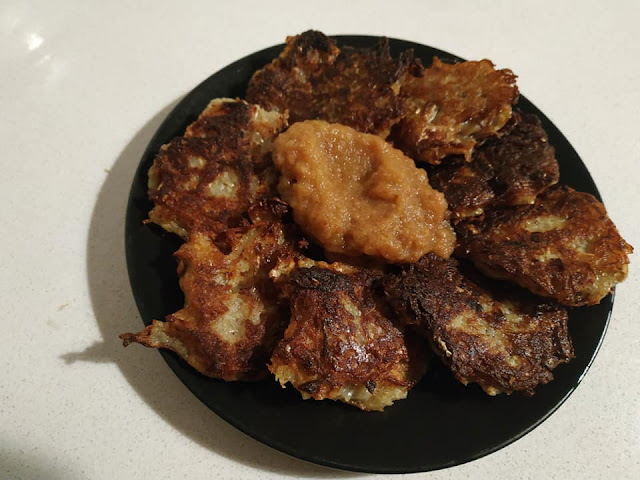 Have you ever had or made potato latkes or kartoffelpuffer? If so, how did you make them? Does this look like a recipe you'd try? Do you add all dry ingredients od do you add some water? And how much water?